Ken Koziol - Entertainment Solutions, Inc.
Senior Vice President, Entertainment Solutions, Inc.
Ken Koziol is Senior Vice President for Entertainment Solutions, Inc. With over 25 years in the Special Events Industry, Ken has been instrumental in the development and creation of several distinctive marketing and event initiatives for hundreds of clients nationwide. A graduate of the University of Arizona, with degrees in Economics and Political Science, Ken held the position of Director of Concerts for the Associated Students of the University of Arizona (ASUA), booking national touring acts for the McKale Center Arena and Centennial Hall Auditorium. 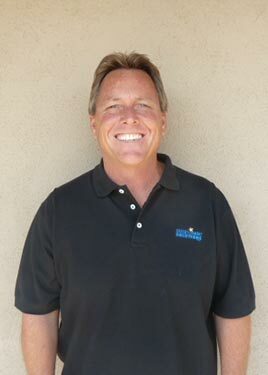 Upon graduation, Ken was hired as Marketing & Promotions Manager for KNIX Radio in Tempe, AZ. During his tenure with KNIX, Ken developed the stations’ Sales Sponsorship & Event Marketing program. In 1992, Ken was nominated for Billboard Magazine’s Station Promotion/Marketing Director of the year. In 1992, Ken founded Image Entertainment Productions, Inc. Growing the business nationwide, Image Entertainment produced local and national events for several corporate and civic clients and included an event roster of more than 250 events per year. Ken sold his business to TBA Entertainment Corporation (NASDAQ: TBAE) in 1998, and was named Vice President in the Corporate Communications Division. After 3 years with TBA, Ken and his brother Kevin founded Entertainment Solutions, Inc., based in Scottsdale, AZ. Entertainment Solutions is a full-service event production company that specializes in Live Entertainment Production, Corporate Programs, and Special Event Management. Ken’s passion for events and his tireless efforts are unparalleled in the industry. Ken attributes his success & longevity to always maintaining the highest level of integrity, acute attention to detail, and developing long-term positive relationships with every client & vendor. Favorite concert: Ted Nugent, Lynyrd Skynyrd, Journey, REO Speedwagon & 38 Special at Soldier Field (in 1976. ).